Design a scary-cool wardrobe with the Monster High™ Fashion Design Sketch Portfolio by Fashion Angels™. 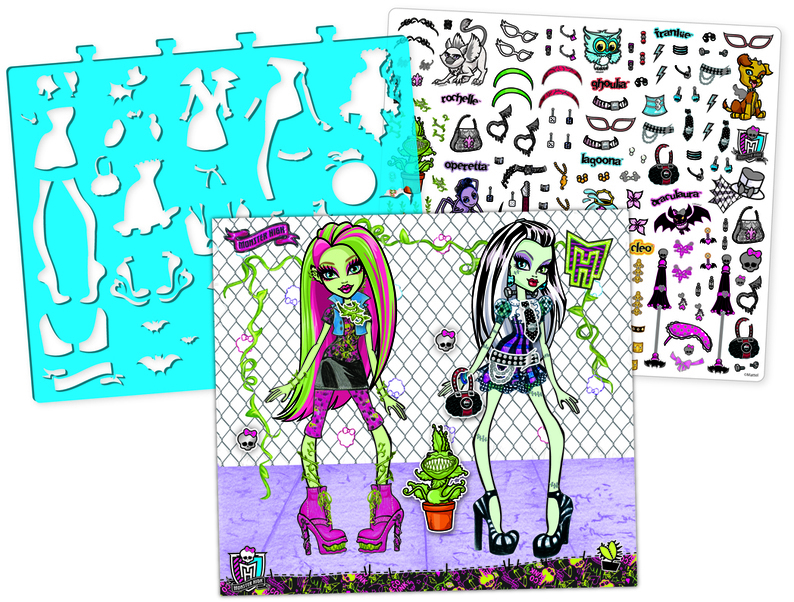 Use the removable plastic stencils to trace creep-arific clothing and accessories for the Monster High™ characters. Add your own details, color in, and embellish with stickers. Set includes: 40 page hardcover portfolio, 6 different scenes, 5 removable plastic stencil sheets with 190 stencil designs, 155 foil stickers, and instructional design guide.